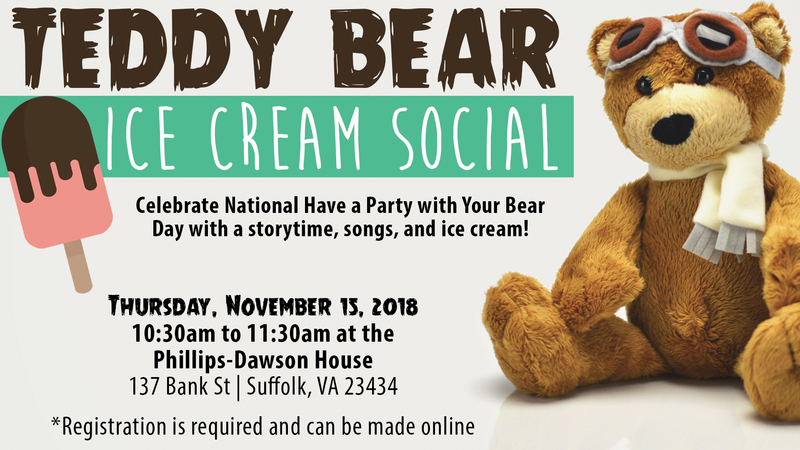 Celebrate National Have a Party with Your Bear Day with an ice cream social at Suffolk’s Phillips-Dawson House. Bring your favorite stuffed animal or teddy bear and enjoy a teddy bear themed story time, songs, and ice cream. Families can tour the Philips Dawson House after the social for free!